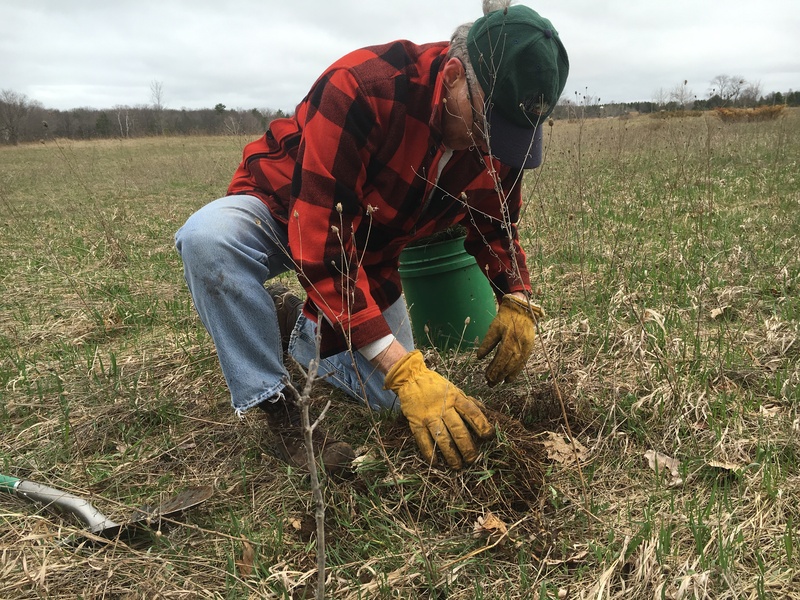 In April 2016, the Door County Land Trust’s volunteer group, the “Stew Crew,” planted more than 1000 native tree and shrub species after controlling non-native honeysuckle at Lautenbach Woods. The Stew Crew continued their efforts at Three Springs and planted 800 native tree and shrub species after controlling non-native Scots pine (Pinus sylvestris). The tree and shrub seedlings are well suited to thrive at these preserves, and will offer habitat for birds and wildlife. As the trees and shrubs mature, they will shade out non-native invasive species and the plant community will then be dominated by native species. The work by the Stew Crew creates a resilient and self-balancing landscape.